Dar Lighting Egil is a single light table lamp base featuring a square plinth base and slender stem all in a natural brass finish. The product code for this lamp base is EGI4242. The base is hand cast in solid brass with decorative detailing throughout the stem, a perfect lighting solution to many styles of decor whether modern or traditional. 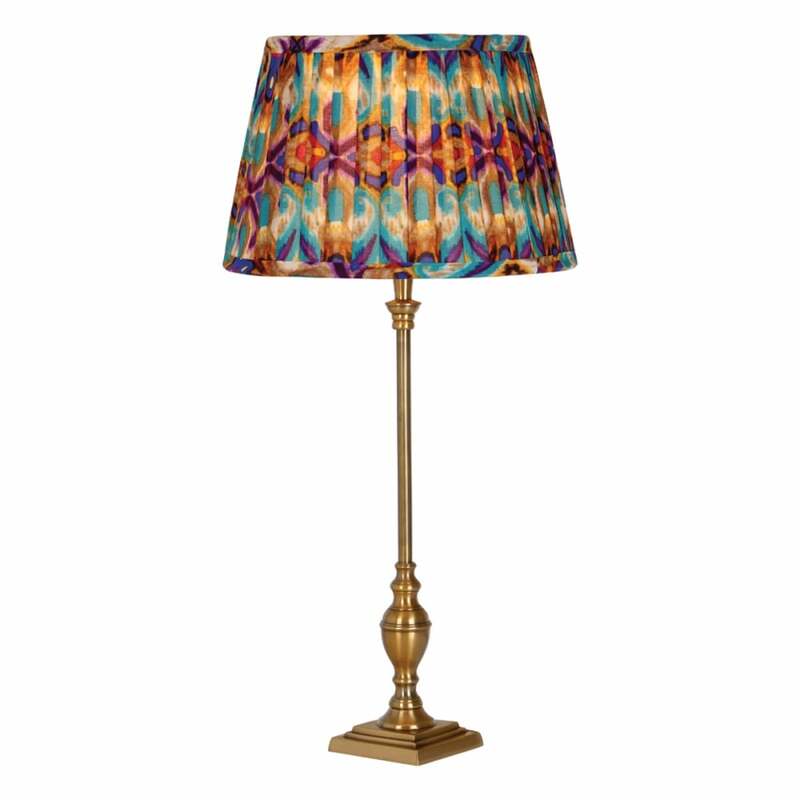 This charming lamp can be topped with a shade of your choice but please note this is not included and needs to be ordered separately. This lamp is double insulated and operated by an inline rocker switch located on the cable. Also available in this stylish range in an antique silver finish which can be purchased using product code: EGI4232.